This is my grill. There are many like it but this one is mine. Every grill I’ve ever owned has been identical to this model. I know what you’re thinking; a dude with a food blog has to have a state of the art grill. Nope. This grill is literally the cheapest 3+ burner option at Home depot, under 200 dollars. 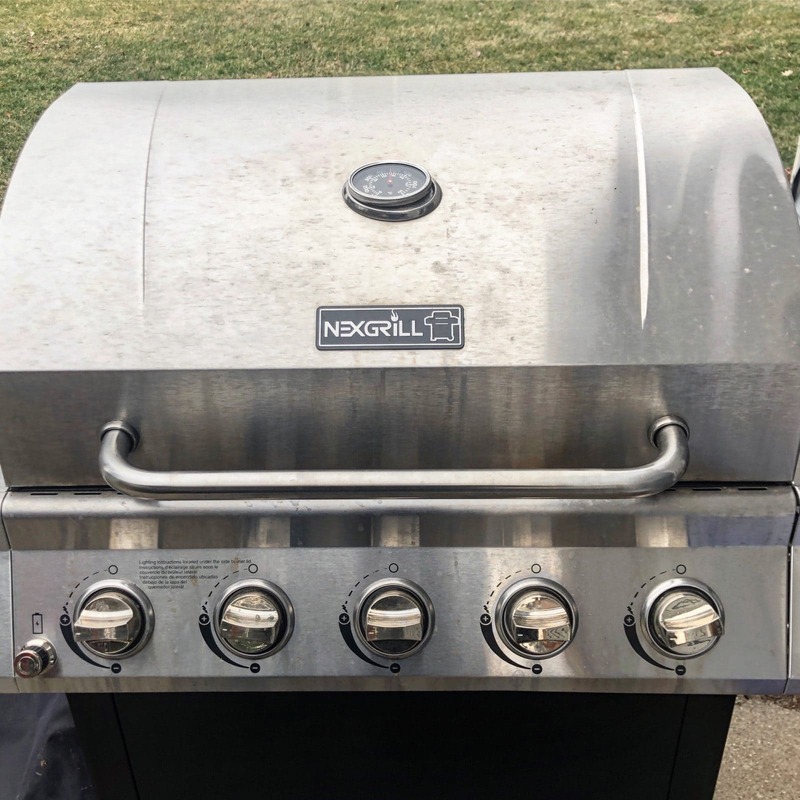 For this post, I’ll be explaining what I look for in a grill alongside a comparison with my grill and a “top of the line” fancy model that runs for 10x (!!) more. Heat: What do you want from a grill? Simply put, you want it to get hot and cook food, right? And, as you’ll see in future installments, you can and should be cooking complete meals on the grill. So a grill should be able to get as hot as possible. More heat (represented by BTU’s) means quicker preheat, harder sear on your meat, the ability to cook when it’s colder out, etc. So, let me present to you two scenarios: Jim’s Grill, 55000 BTU’s. Fancy Grill, 48800 BTU’s. Which would you pick? Well you don’t need an engineering degree from Purdue to figure out that Grill A, with 10% more heat output, is the clear choice. Space: The more grill space there is, the better. Not only do you have more room to cook with, but it means less overcrowding, ensuring that you get a sear rather than a slow bake (which as I’ll explain leads to sticking). So, would you choose a grill with 479 square inches (my grill) or 468 square inches (fancy grill)? Of course, 479 inches. Construction: It goes without saying that a grill should be well made of a good material. Unless you plan on bringing the grill inside after every use, find a grill that is made of stainless steel (like my grill). For the grilling racks, I prefer a coated iron (think cast iron dutch oven) to steel; the cast iron holds and gives off heat much better than steel. Optionals: As far as I’m concerned, if a grill can get hot and has plenty of room, that’s all I need. All the features a grill actually needs is a top shelf (they all have them), a side burner (they all have them), an igniter (they all have them), and a grease tray (they all have them). Some extra features (rotisseries, ceramic back wall burners, smoker boxes, lit control knobs etc) are just that; extra. Sure they look cool, but I promise you’ll never actually need or use them. So, in conclusion, for gas grills bigger isn’t always better. Find a grill with high BTU’s with a large grilling surface and heavy coated iron grates. Forego the fancy add ons for a workhouse grill that is 1/10th the cost with all of the capability. For the next chapter, we will discuss grill maintenance and preparation!